Often when you buy things at auctions they offer a smattering of this and that hoping to snag you on one item just to get rid of a dozen others. Some days my husband announces he won an auction and lists the different things in the grouping. It’s not uncommon for him to submit a low ball bid just to see if he can win. (I think it’s a sickness we’ve both contracted!) There is usually only one thing he wants in the group. If he wins, he brings the whole lot home and asks me if I want any of the extra stuff. 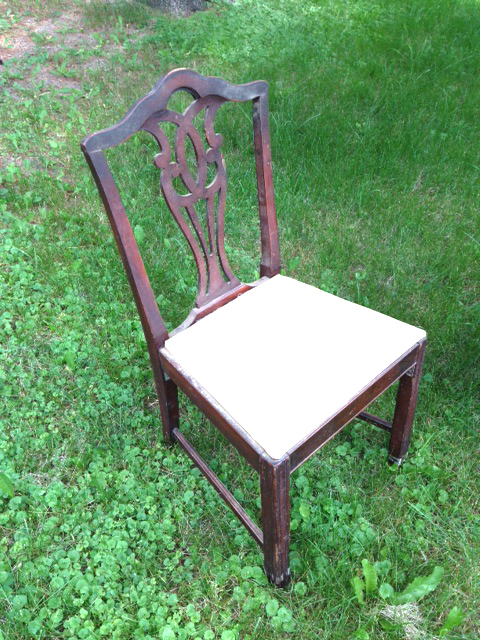 Recently he won an auction that had 3 old chairs – dusty grimy old chairs that would only be valuable to someone wanting to have a bon fire… or a DH DIYer (die hard do it yourselfer) such as myself. What the auctioneer saw as a bunch of junk to unload, I saw as intriguing future projects. Often the items will gather dust in my garage for months (Mark would probably say “years”) before I cook up some use for them. This is what happened with the old chairs. When I began looking into replacing the hammer, garden hose, and cooler that had been deposited on my front porch with something that actually looks appealing, I began looking through photos of porches that had been decorated by others. That’s one of the things I love most about the Internet. You can type in anything and come up with dozens of sites that deal with that subject. I never want to copy exactly what I find, though I couldn’t if I wanted to because I am such a cheapskate, it does inspire me to scrounge for things I already have that will do the trick. Can I make something that will work? If I can create something out of nothing or at least something I already have, I get that, “I have to pat myself on the back” kinds feeling. Oh boy does that feel good. This is a long lasting good feeling that usually lasts all day. If I don’t have all the things I need to do this great inspired project, where can I get the needed ingredients cheaply and quickly. Cheap, I’m sure you get. Let me explain the quick. 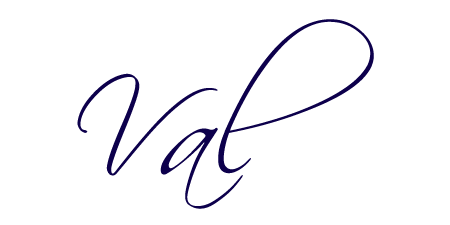 I am such a busy person (you know, once you retire you get busier) that when I get an idea, I don’t want to quit until I’ve done what I set out to do. If I don’t have what I need already, I am so driven that it takes me over. I am at risk of spending money I don’t have or quitting the idea before I even get started if I can’t do it quickly. I know. Immature, right? I’d like to say that I am so patient that I can wait a lifetime for what I want, but let’s get real here. I want what I want and I want it now. I do kinda drive my husband crazy at times. When I get an idea in my head I’ll drag him hither and yon to find what I need and to find it quickly. Our titles are “draggor” and “dragee.” Guess which one I am. Often we are in the same boat; we are looking for the same thing together, but as often, he’s the one putting up with my obsession in a kind hearted way. If I buy something, it has to be on sale, clearanced, or free. I’m sorry, but I just can’t buy anything full price! Being a good steward in my book means you let someone else pay full price, wait for them to get tired of it and then buy it from them at a tenth of it’s original cost. Works for me! Besides, then when I buy it I can tell my daughters how much I paid for it and wait for them to oo and ah over me. Then I can tell my husband over an over how happy and excited I am about the good deal I got and them lay awake at night thinking how fortunate I was to get it for so cheap or free. Yep. I’m odd. But being an odd person can be fun at times! Whatever I buy has to be just right. No more will I buy something cheap to get buy. I really would prefer in my old age to have nice things and not just buy the cheap version to get buy. I guess I’ve spent so much time doing that that I don’t want to do it any more. Example: When we put our house on the market a few years back, my mom came upstairs (she lived in the lower level apartment in our house) and said, “That couch is so ugly you’ll never sell your house.” Thanks mom. But you know what? She was right. I saw her point and immediately looked on Craig’s list and hit the stores looking for a new couch, or at least, new to us. We found one on Craig’s list that would look nice, though it wasn’t really my taste. But we were looking for something to get by, and this would fit the bill. After some staging by our realtor, we sold our house just a month later. So guess what? I’m stuck with that couch now. I did the same thing for our quilt on our bed. I went out and bought a newer, more modern looking comforter for our bed. Apparently quilts just don’t cut it in today’s market. I’m stuck with that too. I can’t justify spending hundred’s of dollars on something new when I have one that works. The project had to be easy and not too messy. I don’t think I have to explain this one! I had three old cruddy chairs, but they didn’t have to stay that way and they fit my 5 rules of thumb. All three came along for the ride in Mark’s auction purchase, so they didn’t cost me anything. They were right in my garage, (afflink) I had the paint I needed, and they were made well. All I had to do was clean one off and spray paint it. Since I wasn’t going to use it to sit on in the house, I didn’t really have to do much prep. I even spray painted the plastic covered chair pad. If it gets scratched (I didn’t sand it first) then all I have to do is spray paint that area again. Some may say, “Oh, no! You can’t paint an antique!” But just because others like antiques and think they should stay in their original form, doesn’t mean I have to agree with them. It’s all on what you like. I don’t like most antiques. I guess my mom influenced me in that area. Whenever she sees antiques advertised, she says, “They say it’s valuable, but I say it’s just old junk from when I was a kid.” Antiques have never impressed her. Some I do like and would never touch. But an old chair like this is not my idea of nice decor. It would stay in my garage and be used and abused by my husband during his projects or get pitched. So now I have something lovely to use on my porch that just cost me the price of a can of spray paint. You’ve already seen my “before” picture, so here is the “after”. It is the main piece to my front porch decor. 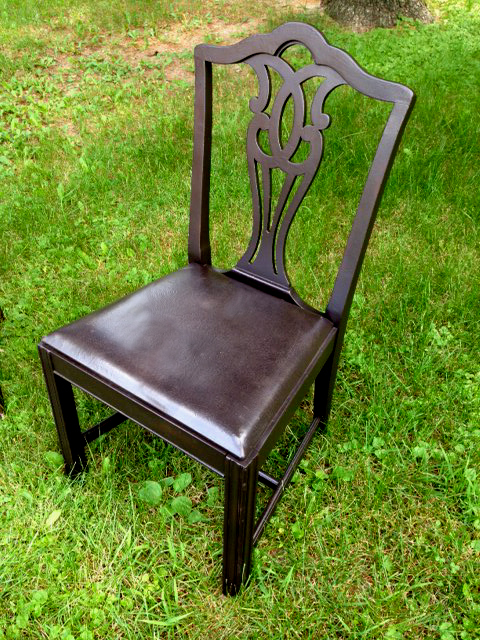 It’s amazing what a little paint can do for an old chair. 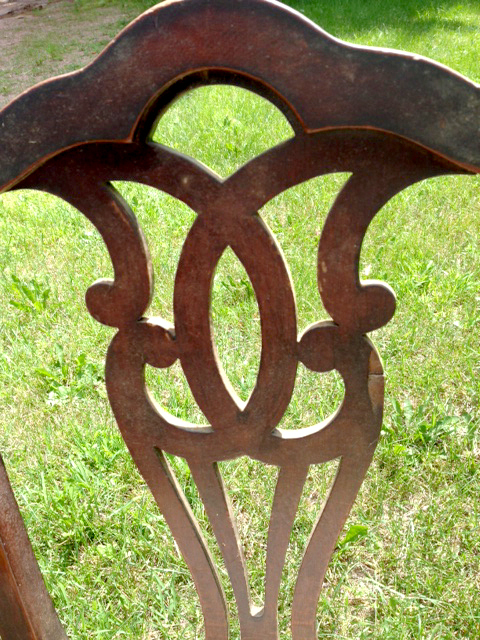 To see the chair used on my front porch, see my post, Fall Porch DIY Decor. Compared to the garden hose/cooler/hammer decor my husband gifted me with, I’m thinkin’ my new DIY deck decor is pretty great in comparison! You can see the chair, sort of, after our first winter. It took on a weathered look. I have two more chairs in the set, here’s another one that I did for My Guest Room, adding a little foot stool and pretty fabric. I want to use the third as well but haven’t decided what color to paint it. What color should I paint the third one to use in my studio? Please leave me a comment and tell me what you think. after reading your blog re: 3 chairs and the 5 rules of thumb, it is like we are same mind set. Lol. I’d love to see your projects – especially the chair with Paris images. Let me know how the DIY chalk painting goes.